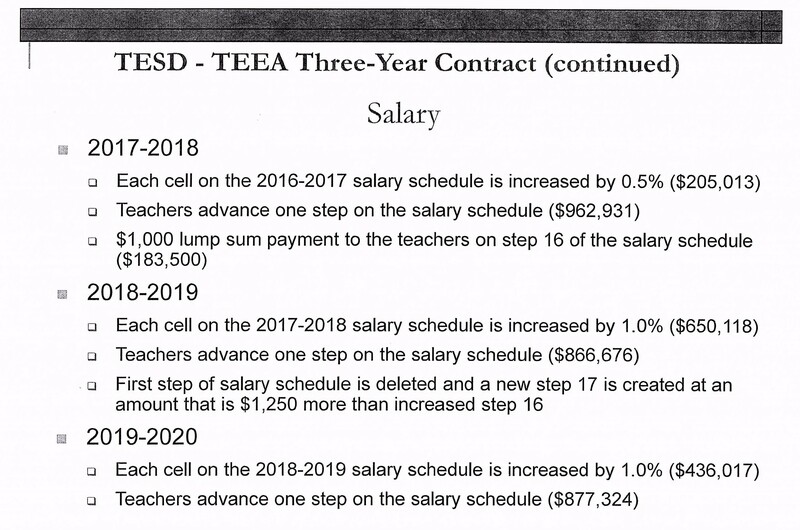 Based on the agenda for last night’s TE School District Special Meeting, the purpose of the meeting was a Priority Discussion on the fact-finding timeline of the teachers’ contract with summary of the report. It was stated that the Board was unable to publish details contained in the report prior to the Board discussion. However, we learned upon arrival at the meeting, that the school board and the teachers union had reached a tentative 3-year contract. (The teachers contract expired June 30, 2017.) An overview of the contract negotiation process was presented by the District’s labor attorney Jeffrey Sultank of Fox Rothschild. Specifics of the contract presented by District administrators Art McDonnell, Dr. Gusick and Jeanne Pocalyko. The school board provided few updates to the public during the contract negotiation process which began in January. In past contract negotiations, the public received regular updates were provided, including the members of the committee. The lack of information (particularly after the teachers contract expired on June 30) added to an already stressful situation with the teachers mounting their own PR campaign the last couple of months. 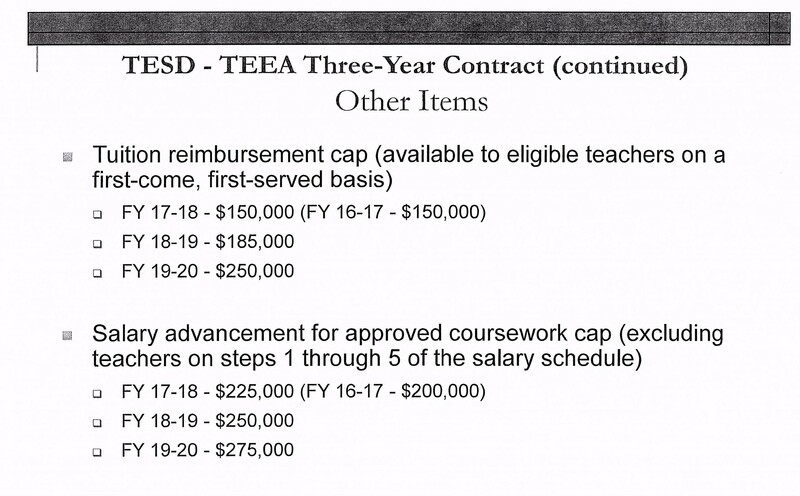 Below are the five slides that accompanied the fact-finding/teacher contract presentation. Although the fact-finding report and the teachers’ contract are not yet on the District website, the update should happen shortly. Following the slides, Ray Clarke provides a few specifics from the contract. The school board unanimously approved the new 3-year contract. The Administration presented a lot of numbers showing the expected impact of most of the components of the agreement, but there was no integrated summary of how all added up to the stated 1.7% per year increase to the total expense budget. – Somehow this increase is equal to 47% of the revenue expected from increases in the Act1 Index of about 2.5% per year. (Despite a question, I’m still not sure how these numbers reconcile – part of the problem of not having an integrated summary). – Salary increases aggregate to 10% over the three years, a cost offset to some extent by increases in the employee share of the premium for one of the health plans from 13% to 16% next year and by the implementation of a 6.5% share of the prescription plan premium, also next year. The salary increases come from matrix increases of 0.5% to 1% and from step movement, plus raising the caps on tuition reimbursement and column movement. The top step – always key with 40% of the staff there and earning ~$100,000/year – gets a $1,000 bonus this year, a ~2.5% increase next year and a 1% increase the year after. – The cost calculations assume the current teacher population moves along the matrix and stays at the top level, no retirements. The Union and Board both seemed content with what appears on the surface to be a balanced agreement. It will be important for the Board to remember that the District does not have to raise taxes equal to this or other cost increases. Tonight Tredyffrin Township reported that its assessed base has increased 1.1% in 2017 YTD. 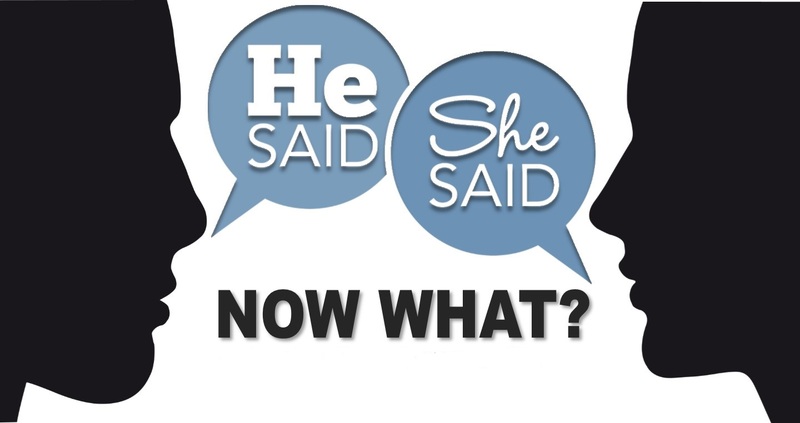 “He Said, She Said – What’s Next” says it all! There continues to be accusations of misinformation and confusion surrounding the T/E School District’s 60-day resignation policy and how this regulation affects the Region II School Director race between candidates Doug Anestad (R) and Kyle Boyer (D). Local municipal races are important and facts do matter! 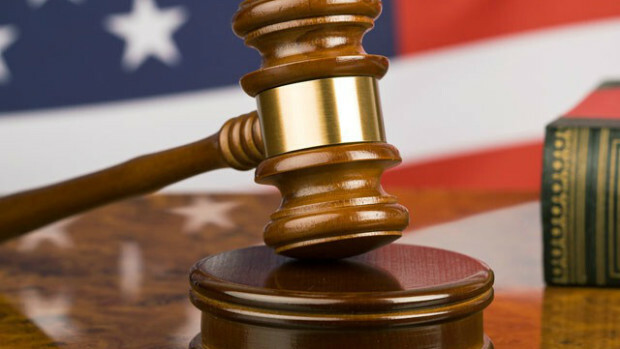 On October 12, chair of the Tredyffrin Republican Committee Neill Kling provided an opinion on the PA State Law in regards to the 60-day resignation policy. On October 17, the post was updated to include subsequent responses from candidate Doug Anestad (R) and Kathleen Keohane, chair of the Tredyffrin Township Democratic Committee. In addition to their responses, I sent a personal email to candidate Kyle Boyer (D) inviting him to clarify his position and to ‘set the record straight’ on any inaccuracies. To date, Mr. Boyer has offered no further information nor responded to my email. After reviewing TTDEMS chair Kathleen Keohane’ response dated October 17, Mr. Anestad believes it contains erroneous information and has sent a follow-up response. Rather than update the original post with this new information, below you will find Kathleen’s response followed by Doug’s. Again, I need to ask where is Kyle Boyer? He’s the T/E School District school teacher running for the District’s school board. I understand that Mr. Boyer may not want to respond “on a blog” but isn’t the public entitled to some answers before Election Day? Based on Mr. Anestad’s review (below) of the PA State Law, T/E School District policy and professional employment contract, it appears that there could be repercussions for Mr. Boyer if he were win the Region II School Director race. So … for any voters which be further confused by the “He Said, She Said” narrative, I suggest contacting Dr. Rich Guisick, the T/E School District Superintendent at gusickr@tesd.net. Once again it is political season and some members of our community have sought to infuse false narratives into a local school board race that should be non-partisan and focused on the issues. Posted as a blog statement, last Thursday’s letter from Neill Kling, chair of the Tredyffrin Township Republican Committee, calls into question Democratic school board candidate Kyle Boyer’s fitness to serve. Neill chose not to post this letter on his party’s website or in a letter to the editor but on a local blog, which allows for anonymous comments. Kyle Boyer is fully entitled to run for T/E school board as a resident of the district. He is aware of and appreciates the requirement that he resign his teaching position and leave the district if and when he is elected on November 7, and is fully prepared to do so. As for the 60-day provision in the PA Code, it gives districts the latitude to hold teachers for sixty days. However, there is solid precedent that the T/E school district has released professional staff with much less notice. The District will accept, without prejudice, the resignation of any employee provided written notice is given at least two (2) weeks in advance of the planned resignation date. In late winter, Kyle Boyer informed his supervisor of his intention to run for T/E School Board. He did so out of respect for his colleagues and the school district, knowing that it would become public information after nominating petitions had been certified. That initial conversation and the public knowledge of his candidacy constitute over 8 months’ notice of a possible vacancy in his position at Valley Forge Middle School. It is safe to assume that school administrators have planned for that possibility. Kyle has chosen to continue working as a teacher in the district until voters select him to represent them on the school board. He is a native of T/E, graduated from our schools, and most importantly, is committed to serving our community. Parents have found him to be an excellent teacher and role model for their children. They see him participating in the community (he is a member of FLITE’s advisory board and a member of the Tredyffrin Parks Board). They know him as a person of integrity who has shown he cares about all T/E residents. Regarding the suggestion of a conflict of interest, Kyle would be serving as a former teacher – with all the experience that entails. As others have pointed out, his opponent also is a former teacher, along with current school board vice- president, Scott Dorsey. Former school board members who worked as teachers and administrators include Rich Brake, Karen Cruickshank, Sandi Gorman, Kris Graham and Pat Wood, who resigned as TESD Coordinator of Community and Volunteer Services after her election to T/E’s school board. All have brought an appreciation for the educational process and the systems in which they operated. Lastly, in response to anonymous comments about Kyle Boyer’s relative youth, remember that Debbie Bookstaber was elected to the T/E school board in 2009. She was 27 years old, a short-time resident of T/E, and had never attended public schools. The TTRC willingly supported her candidacy. At 29, Kyle is an example of TESD’s great success at preparing its students well to succeed, and to serve their community. With a B.A. from the George Washington University, an M.S.Ed. and M.P.A. from University of Pennsylvania and his principal’s certification from Immaculata University, Kyle has successfully spent his career teaching. An ordained minister, he currently is pursuing a third Master’s in Divinity from Lutheran Theological Seminary and serves in the local faith community as well. As one Valley Forge Middle parent commented online, “We should be debating the fitness of the candidates for their prospective positions, not procedural minutiae that are irrelevant to most.” I agree. Sandi has served the best interests of the children and families of this community for thirty years and has earned our respect and appreciation. She clearly knows the facts and the law. A long-time Republican, she is supporting Kyle. All Region 2 voters should consider doing the same. Both Kathleen Keohane and Kyle Boyer are wrong on state law and wrong on T/E school district policy on the fundamental concept of the 60 day rule that anyone with a background in education should understand. Kathleen Keohane stated that “some members of our community have sought to infuse false narratives into a local school board race that should be non-partisan and focused on the issues”. The irony here is that it is she is the one that is infusing false narratives into the local school board race – and she has struck out on each. Strike one: a false narrative that states the 60 day rule does not apply to Mr. Boyer because of T/E Regulation 4031. The problem is, T/E Regulation 4031 does not apply to teachers. It is for all non-contractual employees. Certificated Professional employees desiring to resign must present a written resignation within the time period as required by law. If no time period is required by law, then the employee must present a written resignation at least sixty (60) days prior to the effective date of resignation. Strike two is another false narrative claiming Mr. Boyer’s “initial conversation and the public knowledge of his candidacy constitute over 8 months’ notice” and “It is safe to assume that school administrators have planned for that possibility.” There is nothing that a school district will do to prepare for a teacher’s exit until they give their actual resignation. School districts have a process in place that starts once a letter of resignation is received, not before – and definitely not based on the possible outcome of a political campaign months away. Strike three is another false narrative that “there is solid precedent that the T/E school district has released professional staff with much less notice.” What is missing is that those teachers gave 60 days notice and then were allowed to be released early after the school district went through the hiring process, hired the replacement, and knew when the new teacher could start. As if those three strikes weren’t enough, there is this: Kyle Boyer signed an individual contract with the school district. That contract clearly stated that he had to give 60 days notice when resigning. Now let’s summarize as clearly as possible: Kyle Boyer has admitted he will not give 60 days notice to the T/E school district. This means that he has promised to break PA state law, break his personal contract with the T/E school district, and break T/E school district policy. While I cannot fault Kathleen Keohane for not fully comprehending the 60-day rule, there is really no excuse for someone running on his educational background and educational knowledge not to understand it – especially after it was explicitly pointed out to him long before he was close to the 60 day deadline. 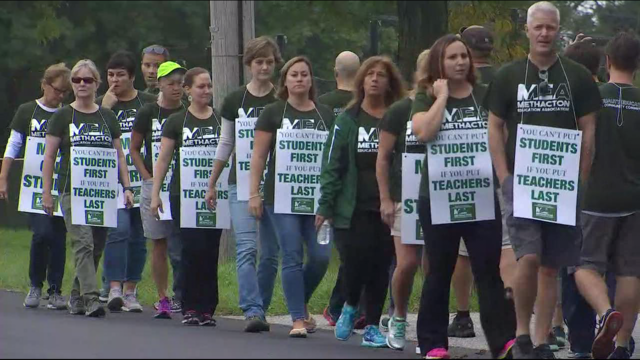 Teachers in the Methacton School District have been working without a contract since January. A stalemate in the bargain process led to the strike Monday by the teachers as authorized by its union, Methacton Education Association (MEA). There are 5,000 students enrolled in the Methacton School District. The union represents 403 teachers and professional staff. Issues being negotiated include salary, benefits, class size, teacher-student ratio and team teaching. The talks broke down when the two sides failed to come to an agreement on how much teachers should pay for their health insurance. The teachers argue that their salaries are in the lower range of salaries and the school district is expecting them to pay for health care as if they were in the upper range. The teachers are using a pay freeze and delayed salary increases in the previous two four-year contracts, as examples of concessions from teachers that allowed the district to improve their finances dramatically and are unwilling to see this happen again. The Methacton Education Association (MEA) is disappointed to announce that they were unable to reach an agreement with the School Board after the two sides bargained all afternoon and into the early evening on Sunday to avoid the potential of a work stoppage scheduled to start tomorrow. The School Board’s position of dramatically increasing the employee’s share of the healthcare premium while not adequately increasing salaries is unacceptable to the Association. MEA was willing to increase premium share by over 23% in 3 years but that was not sufficient to the District. In the end, MEA had 30 minutes to consider the final proposal of the Board and was more than willing to bargain later than the arbitrary 8PM deadline. The strike will commence tomorrow at 7:30AM. MEA is willing to bargain with the District throughout the work stoppage. It is unclear when the teachers will return to the classrooms. Pennsylvania State Department of Education rules will prevent the work stoppage from going past 15 days. A state mediator is now involved to coordinate the exchange of proposals between parties. In the T/E School District, the students have returned to school and the teachers have returned to work. However, the District teachers returned to the classroom without a settled contract. 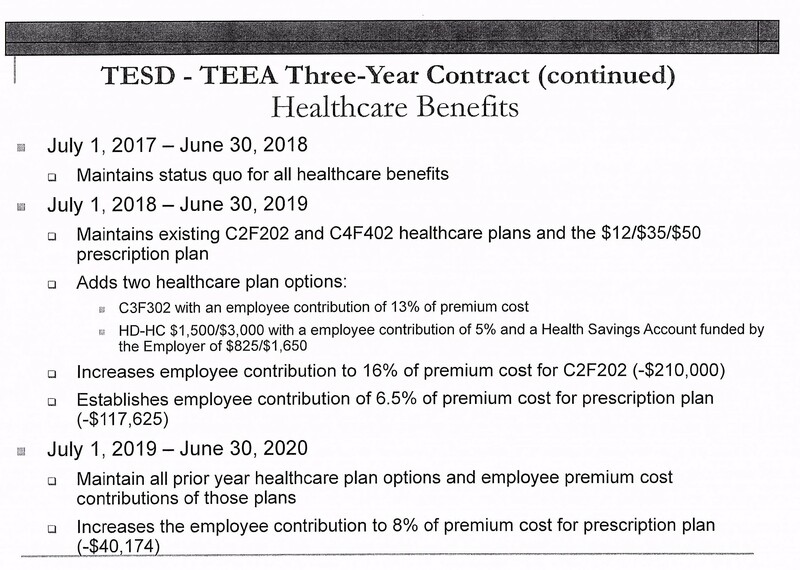 The Tredyffrin Easttown Education Association (TEEA) contract with the T/E School District expired on June 30, 2017. The teachers’ contract expired in June with absolutely no updates from the School Board – deafening silence on the status of the contract negotiations. In a conversation this summer with a recent teacher retiree of the District, I inquired about the contract negotiations. Asking if the teachers and the District were on the “same page” regarding negotiations, I was told that the sides were “not even in the same book”! Other area districts started the 2017-18 school year without settled contracts – Lower Merion, Methacton, Coatesville, Springfield in Delaware County. And we learned this week that Lower Merion Education Association has mounted a PR campaign, including an online petition asking the public to sign “and show the School Board that you a support a fair contract for Lower Merion School District teachers and staff.” Drumming up community support for a salary increase in Lower Merion may prove challenging; given that LMSD has the highest paid teachers in Pennsylvania. (average salary is $99,253). Below is a letter Dr. Robert DeSipio, TEEA President which was posted on its website yesterday. 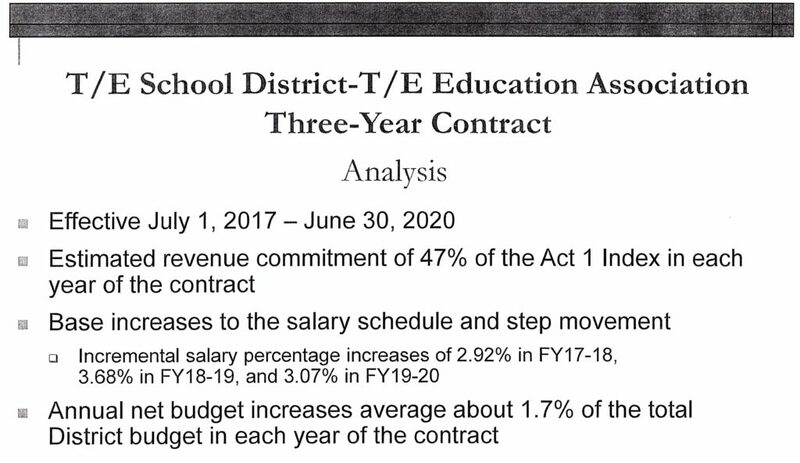 In reading the letter, it is obvious that the teacher contract negotiations between the District and the teachers are stalled. I suggest that both sides need to “open the door” – this “cloaked in secrecy” approach to the negotiations by the School Board is not working and is showing signs of cracking. The public deserves to see the sunlight shine on the negotiations – it would help the parents, taxpayers (and employees) better understand the process and the District’s priorities. It’s time to turn on the lights, open the windows and the doors. The teachers of the Tredyffrin-Easttown School District are currently working without a contract and it is a shame; a shame in many ways. The TEEA teachers are an enormously talented, dedicated group of educators who go beyond the expected and deliver the unexpected. Conestoga High School has been ranked the number one public high school in Pennsylvania for the last two years. Accolades of that magnitude and a number one ranking in the state are not only a reflection of the quality of education at the secondary level, but are also a testament to the dedication of the middle and elementary school teachers who prepare the students in their younger years. From top to bottom the TEEA teachers are top-notch and they deserve a fair contract! A fair contract means the employer is not asking its employees to pay for his/her own increase in salary; certainly not contract after contract after contract. When the recession of 2008 wreaked havoc on the economy, the TEEA teachers stepped to the plate. We agreed to break the contract that was in place and under which we were working and accepted a half year salary freeze, giving back one million dollars to the district. One million dollars that had been earmarked for teacher salaries instead went into increasing the district’s fund balance. When that contract expired, we continued to give back as the economy struggled to recover from the recession. From 2012 to 2014 we accepted a 2 year TOTAL FREEZE on our salary AND we reduced the quality of our medical benefits AND we agreed to pay more for those benefits. That 2 year total freeze contract ultimately saved the district about $14 million dollars. As we continued to go above and beyond what is expected of us, that FOURTEEN MILLION DOLLARS was not added to our base or awarded to us as bonuses. Instead, it was used to increase the Fund balance of the School District. In addition to all of the above concessions, we agreed to a huge reduction in tuition reimbursement–a large sacrifice for a career that requires additional coursework to obtain permanent certification. We have continued to give back financially while continuing to provide one of the best, if not the best, kindergarten through twelfth grade educations anywhere in the country. From 2015 to 2017, our contract that just expired on June 30, 2017, continued to reflect give backs. We increased the amount we pay for our benefits while no additional money was added to the teacher’s salary steps. It is a shame that people who give so much of themselves, have provided so much value to this community, and have given back to the tune of 14 million dollars, are continuing to be asked to subsidize their own raises. Enough is enough! The TEEA teachers deserve a fair contract. We are asking for the support of every TE family to stand with us and to tell the members of this board that enough is enough.